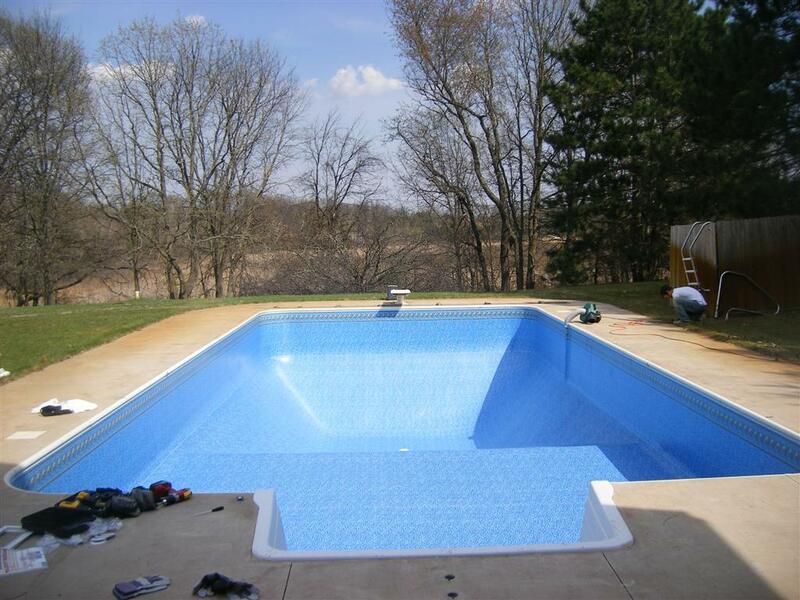 Waterford, WI - This project was a full rip out and installation of a new custom free-form pool. The customer had drawn this up on a napkin. Milwaukee, WI - While this should've been an easy liner replacement, it turned out to be anything but. The customer wanted the shallow and deep end switched. 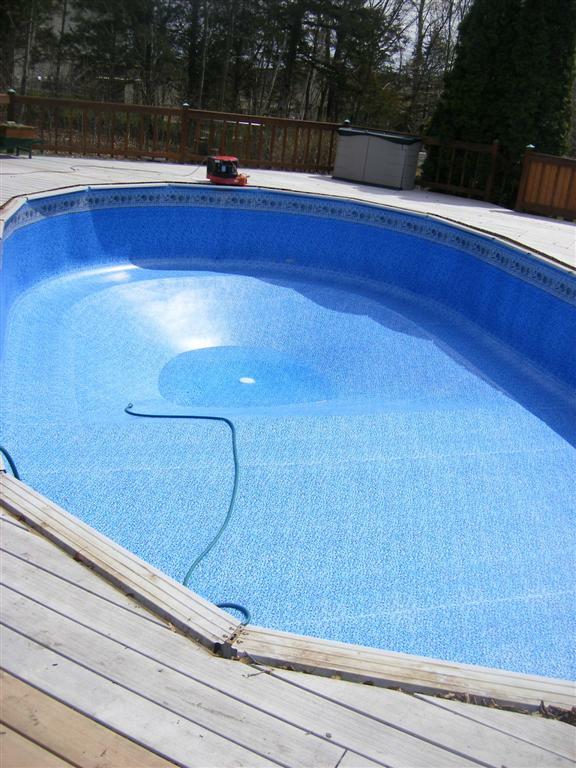 MN - Simple vinyl liner replacement on a pool that was nasty dirty. 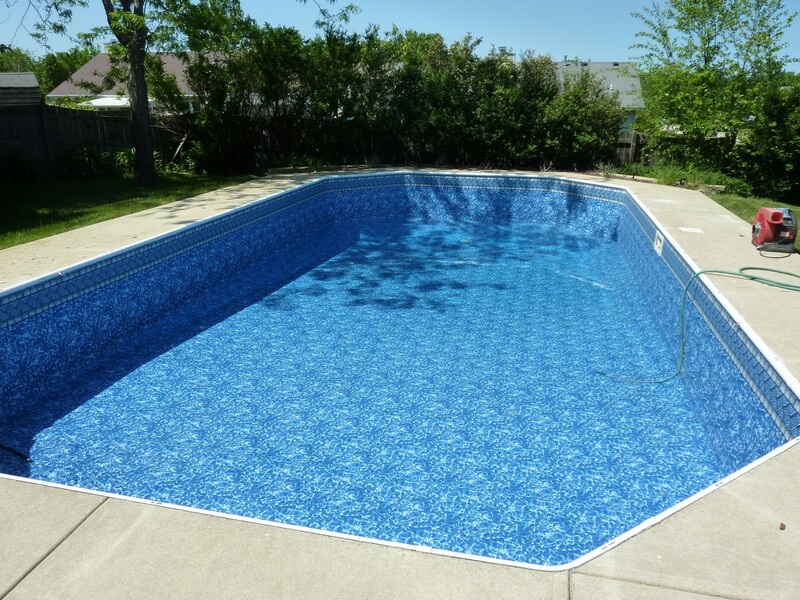 Amazing how a simple vinyl liner replacement can make a pool sparkle again. 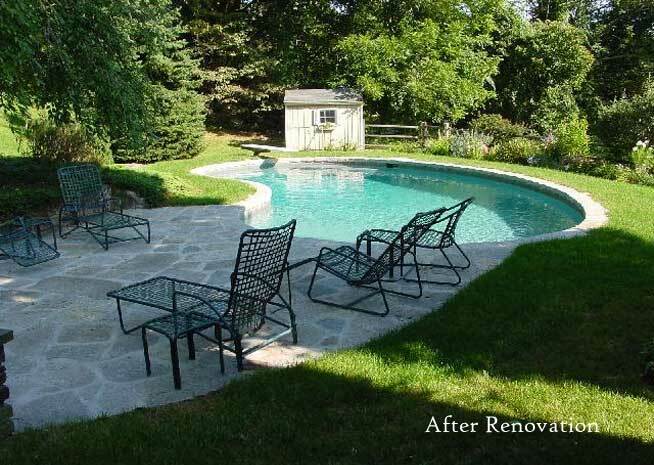 MN - The customer's swimming pool was old and tired looking, so they wanted a complete makeover. 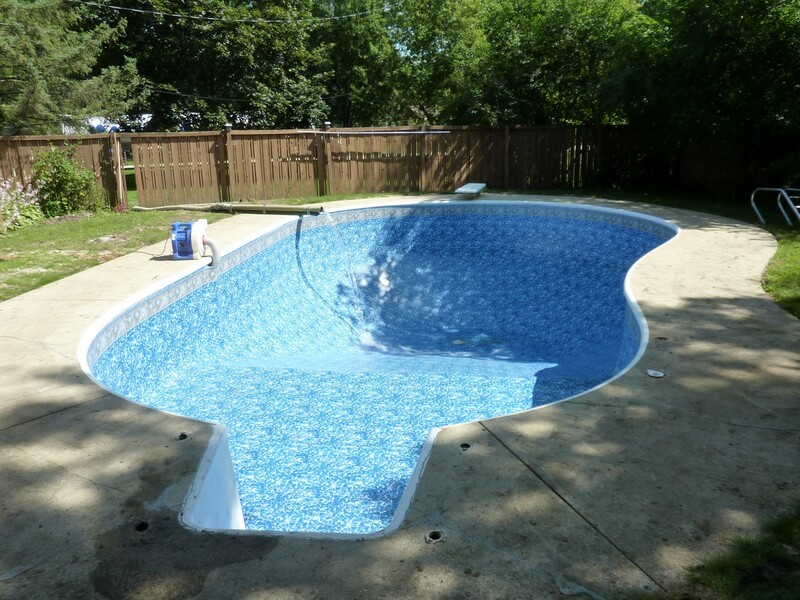 New liner, concrete, diving board, etc. Milwaukee, WI - Run down rectangle pool that was in need of new life. 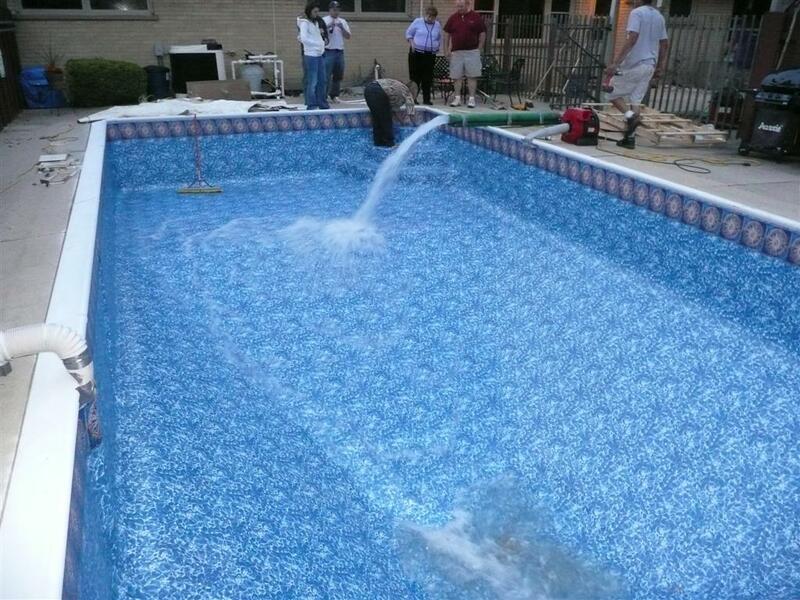 The bottom of this pool was in horrible shape so we had to patch the entire thing. 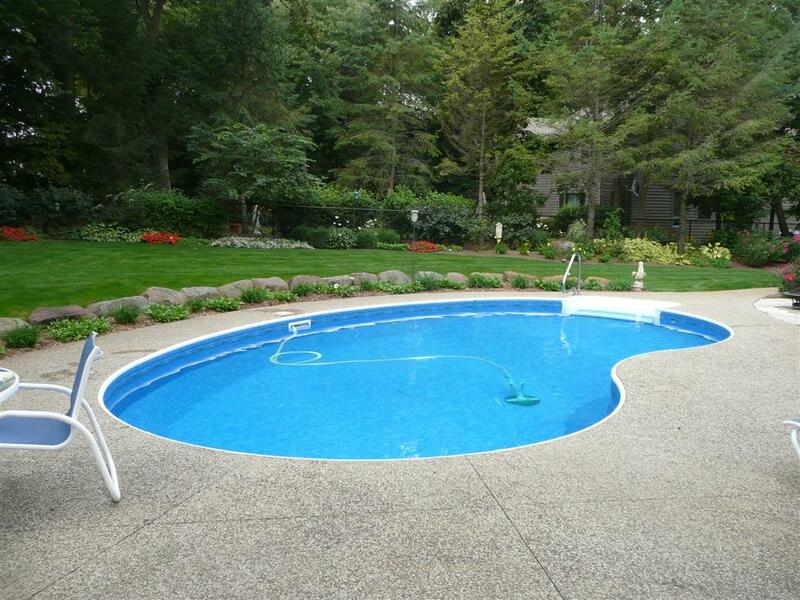 MN - This oval-shaped pool liner was brittle and starting to fade. While this liner wasn't as bad as some that we have seen, it was on life support for sure. 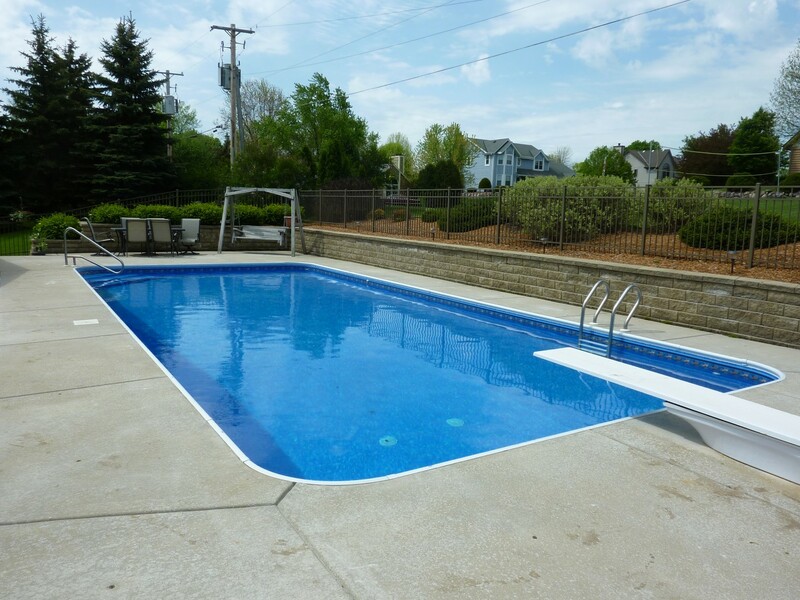 MN - Here is a simple vinyl liner replacement on a swimming pool that wasn't used for a few years. The bottom had to get touched up. 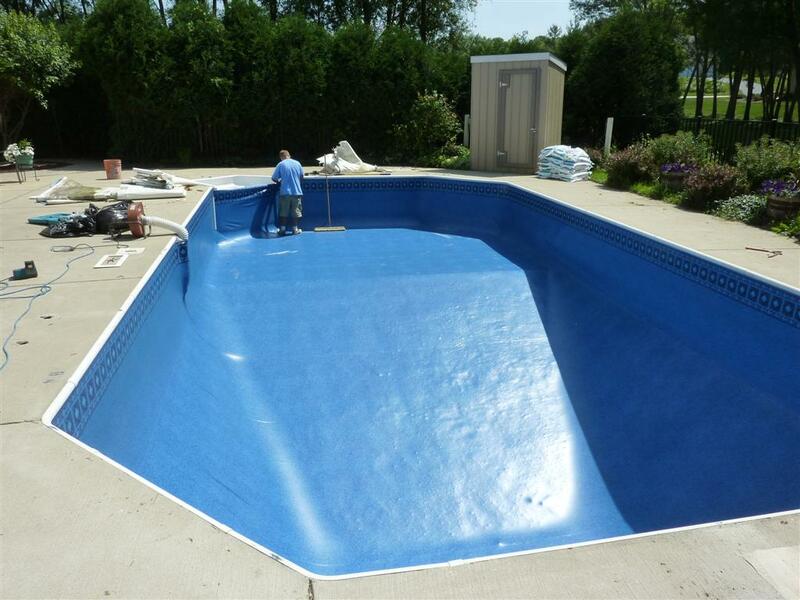 Dousman, WI - This was a simple vinyl liner replacement that was done on a Grecian vinyl liner swimming pool. 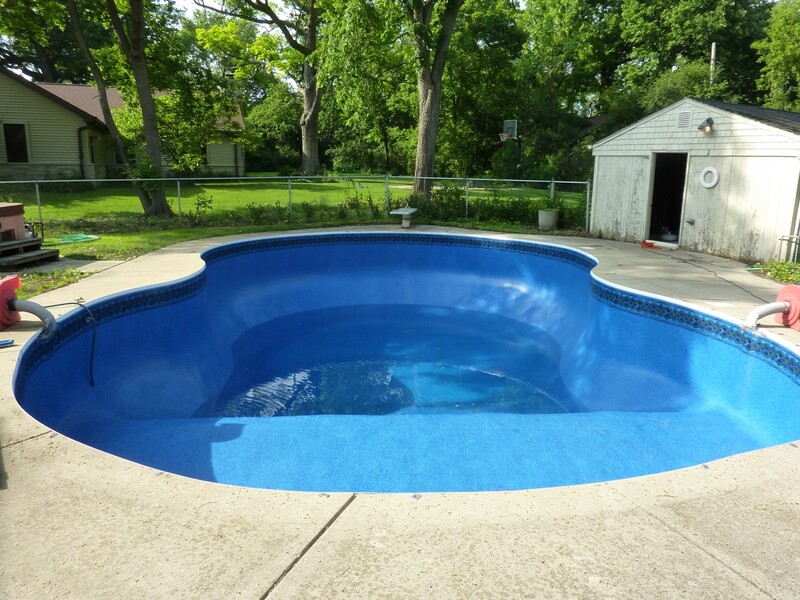 MN - This lazy L vinyl liner swimming pool had been abandoned for over a year and in the process, the bottom was ruined. 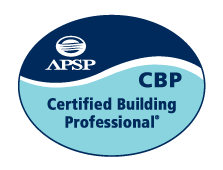 Genoa City, WI - This community has their own swimming pool that needed to get a complete equipment overhaul and get compliant with the state. 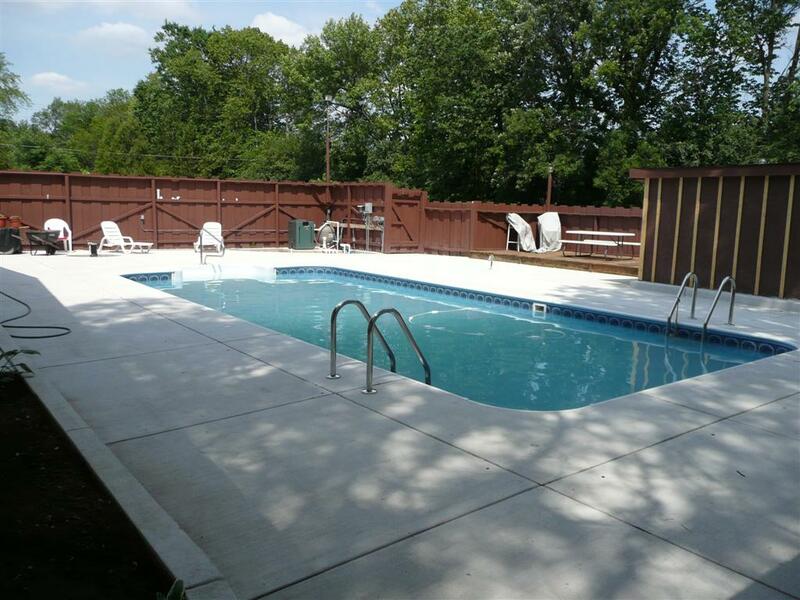 MN - This pool was neglected for a few years during a foreclosure and needed a huge makeover. Penguin Pools had to pour new concrete and install a new auto cover. 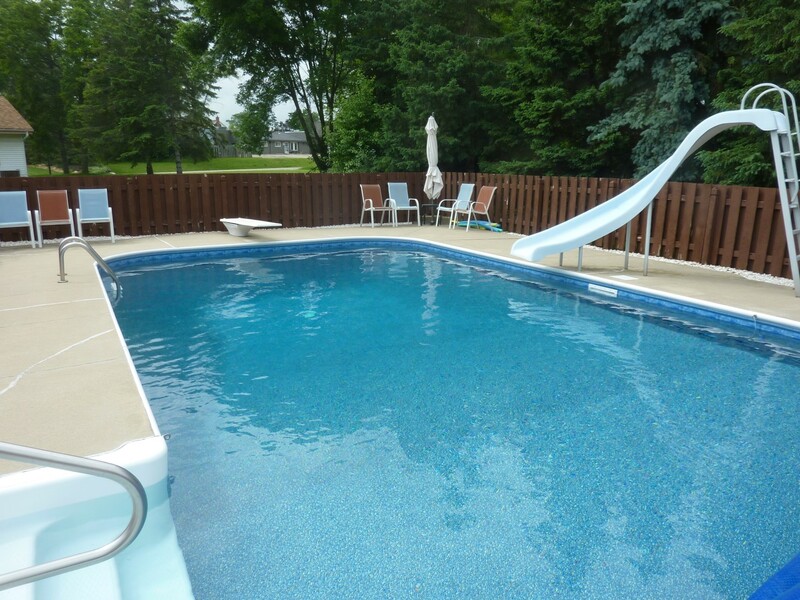 Waterford, WI - This curved kidney swimming pool was in need of a new liner. 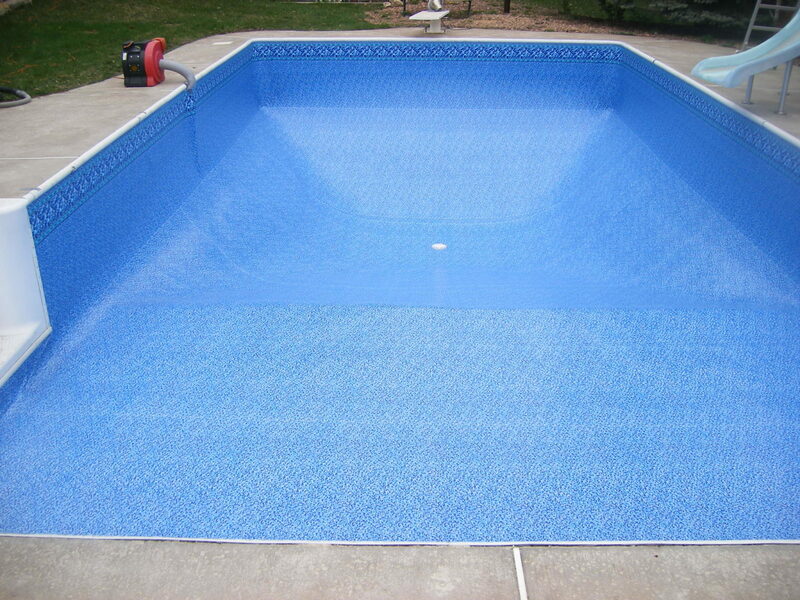 Penguin Pools measured out the liner and installed it perfectly. 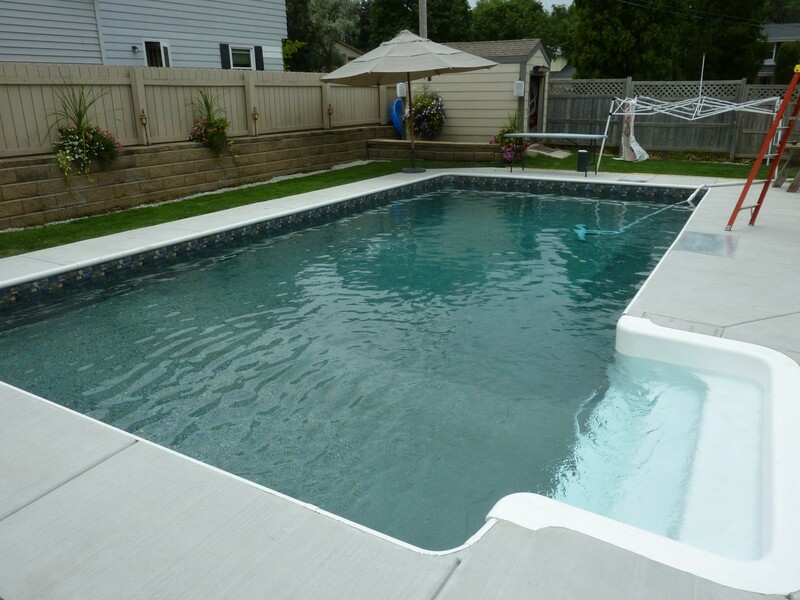 Brown Deer, WI - Penguin Pools added an in-pool corner step so this customer could get in and out of the pool easier. 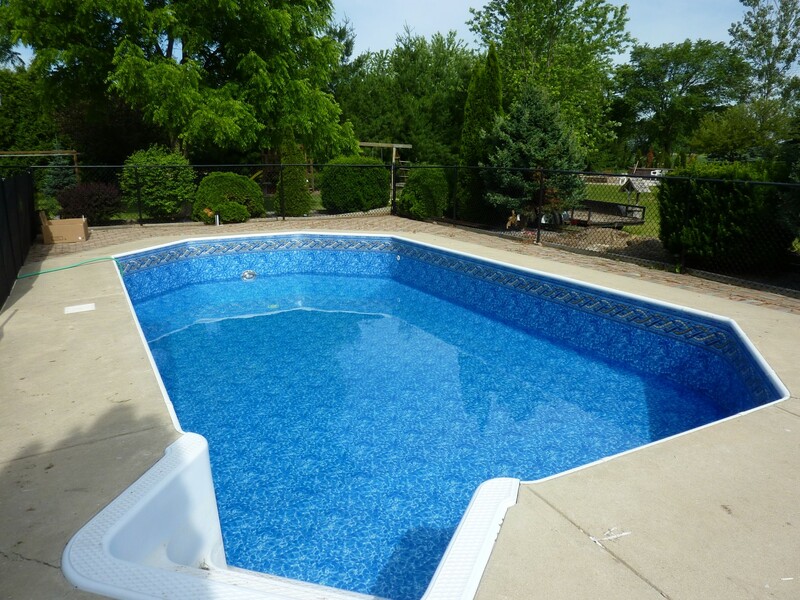 Delafield, WI - This customer's pool was in need of a new liner and plumbing lines all the way around the pool. 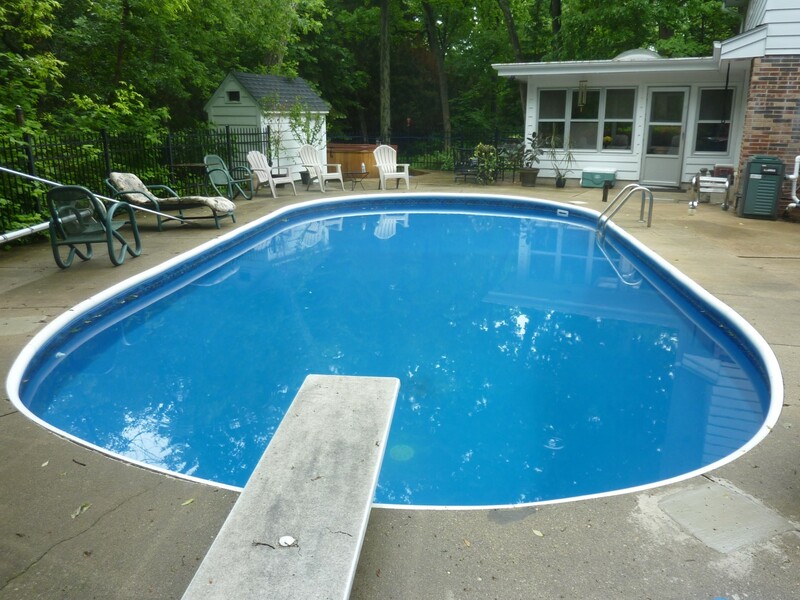 Oak Creek, WI - This Grecian inground pool had a bad chemical burn and excessive algae growth. 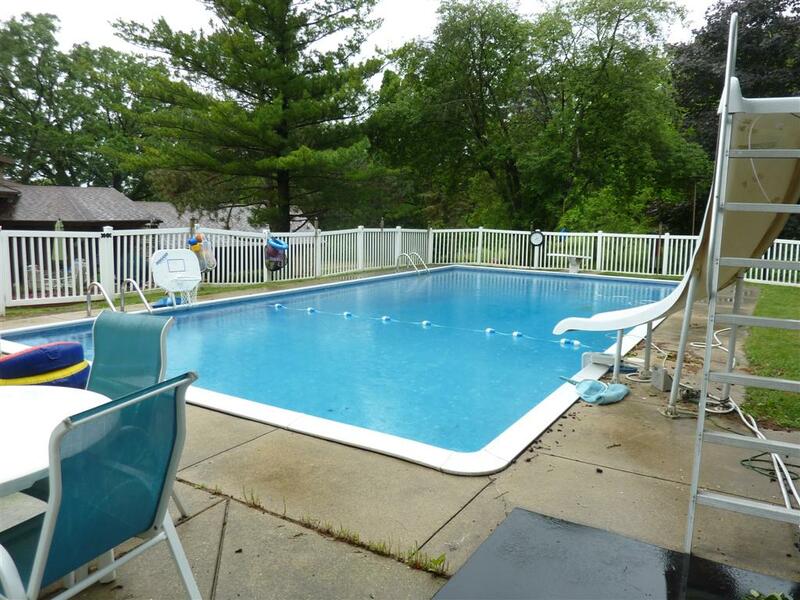 Waukesha, WI - This rectangle pool had many small patches and was continuing to loose water. Penguin Pool installed a new liner. Glendale, WI - This octagon liner was a little harder to install than first thought as we couldn't tell exactly where the step was located on liner. 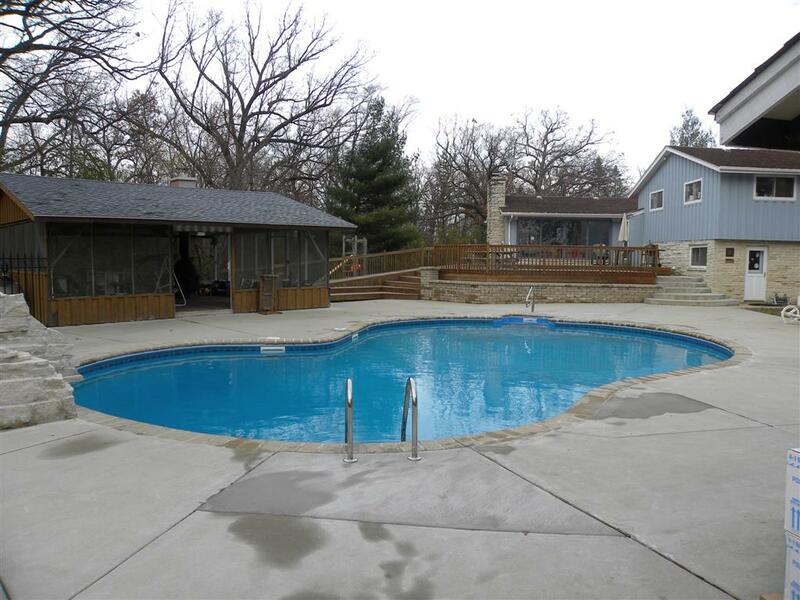 Brookfield, WI - This pool was left to die for a few years as the house was in foreclosure. The city gave the notice to have it demolished or fixed, we fixed it. 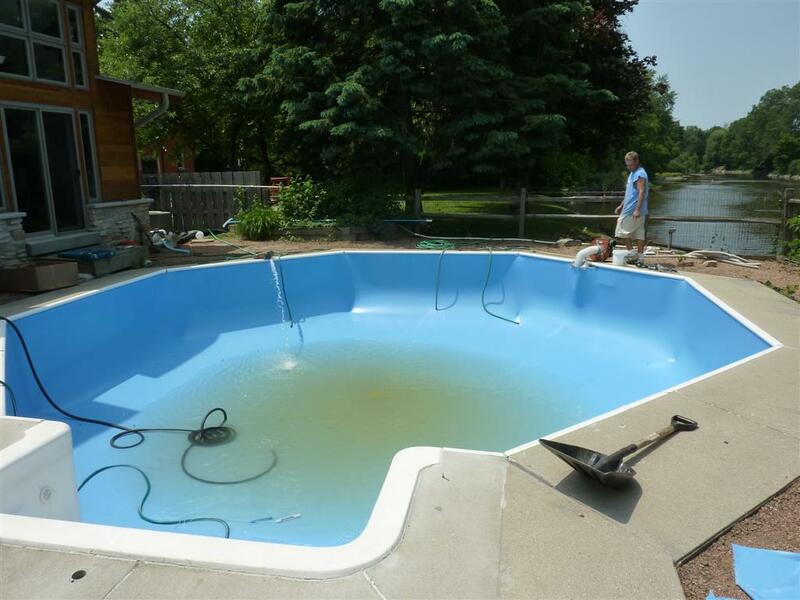 Milwaukee, WI - This was yet another pool left to die during a foreclosure. Penguin Pools had to re-pour the entire vermiculite bottom and hand a new liner. 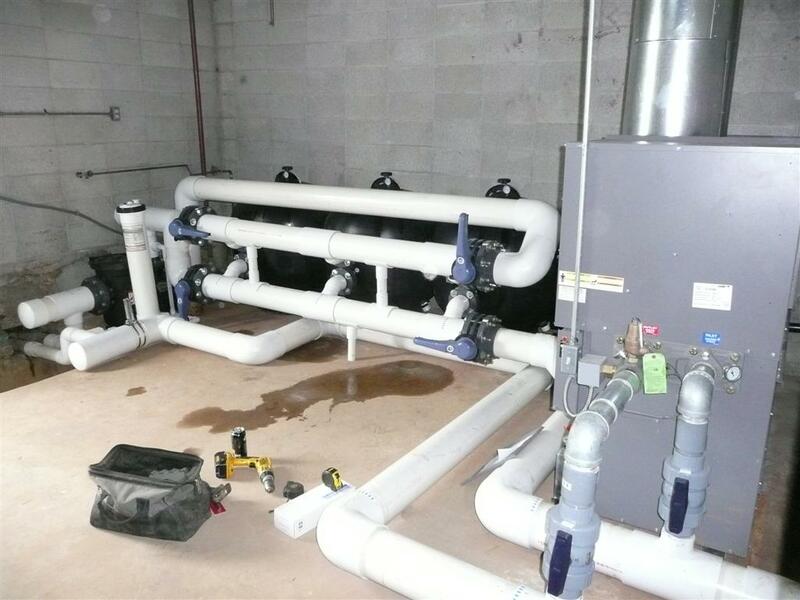 Menominee Falls, WI - Pool had a bunch of leaks and needed a new liner. The main drain was also cut out and new VGB Certified drains installed. 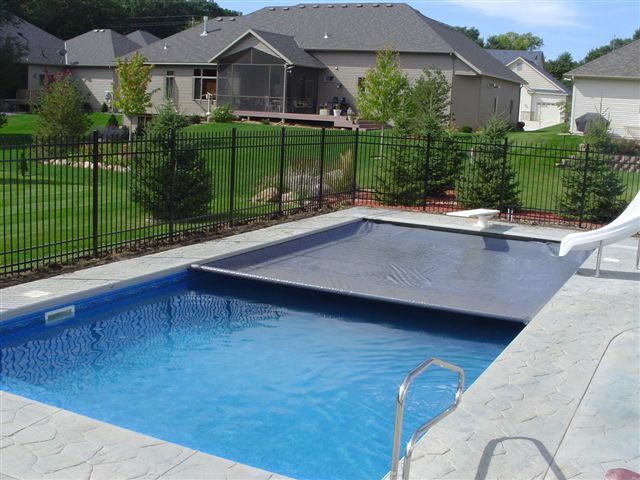 Oconomowoc, WI - Customer's pool was in need of a new liner and some work on the pool bottom. 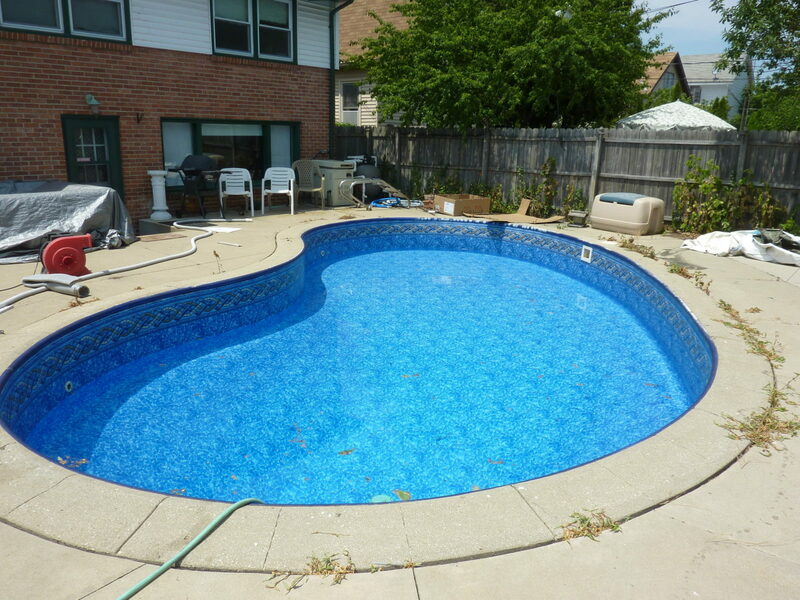 Kenosha, WI - Customer's pool was abandoned for 3 years before Penguin replaced the liner and got it running again. 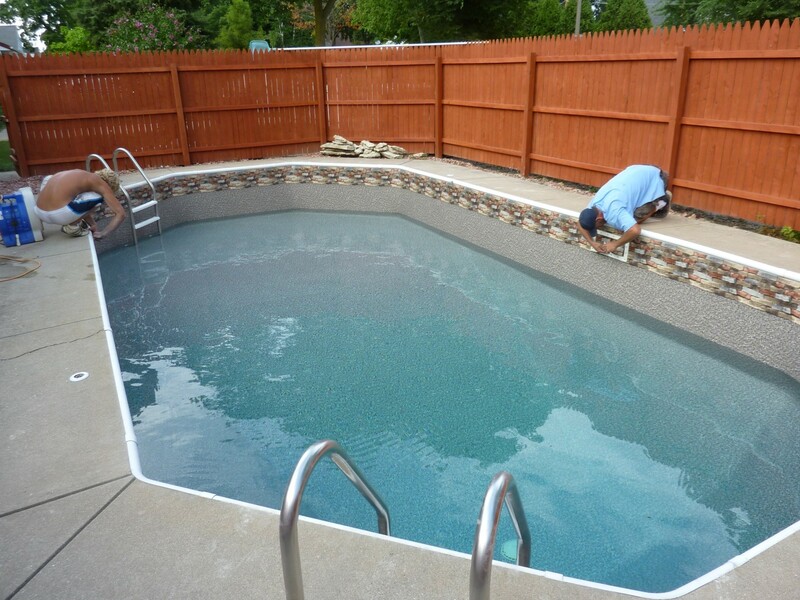 West Allis, WI - Customer's pool was in need of some love before Penguin replaced the liner and got it looking good again. 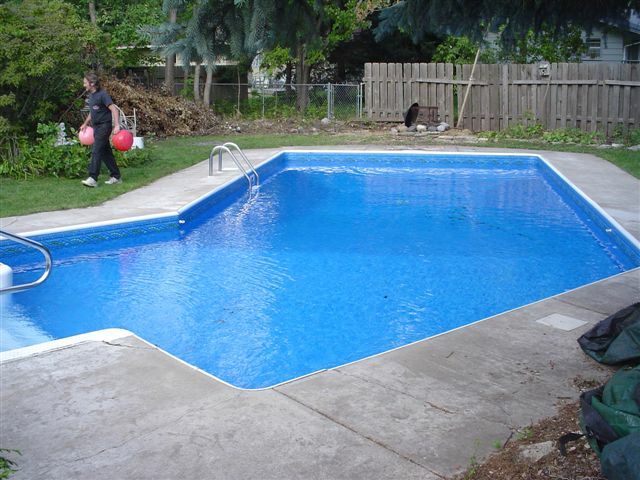 Milwaukee, WI - This rectangle pool had huge water issues, leaks, and broken piping that all needed to be replaced. 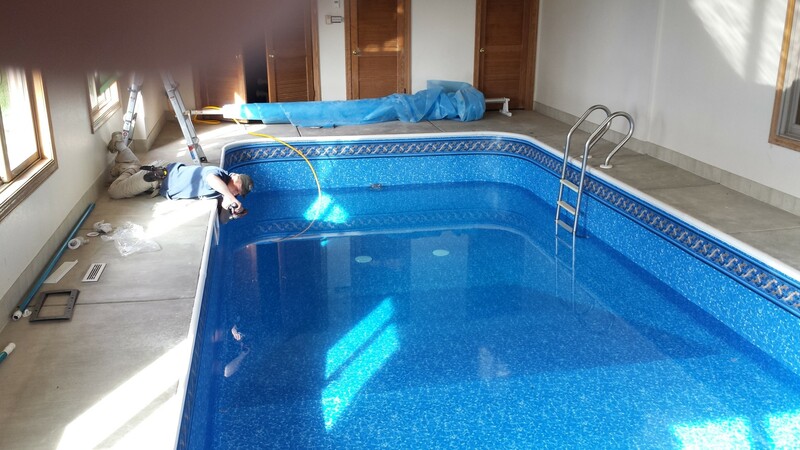 Mukwonago, WI - This indoor inground swimming pool couldn't hold water and had excessive wrinkles throughout. 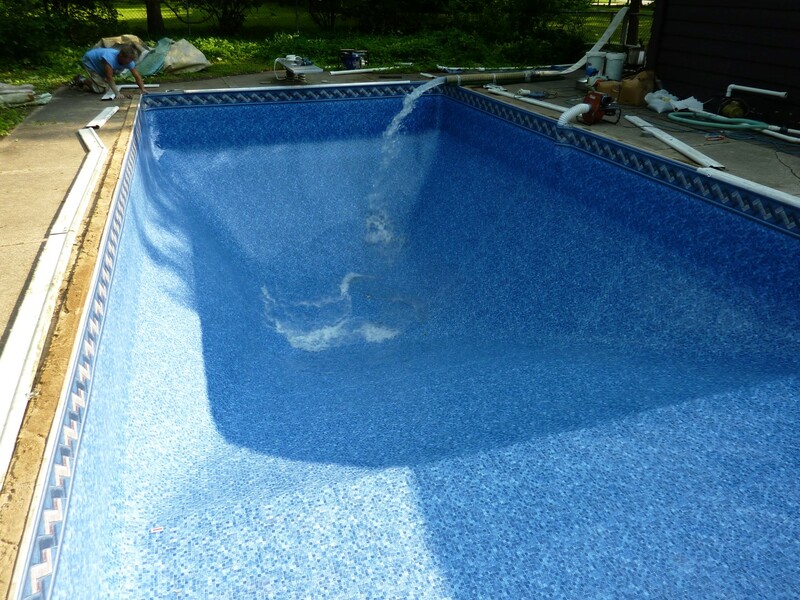 Sussex, WI - This oval inground swimming pool liner was faded and had leaks throughout the plumbing that needed replacing. 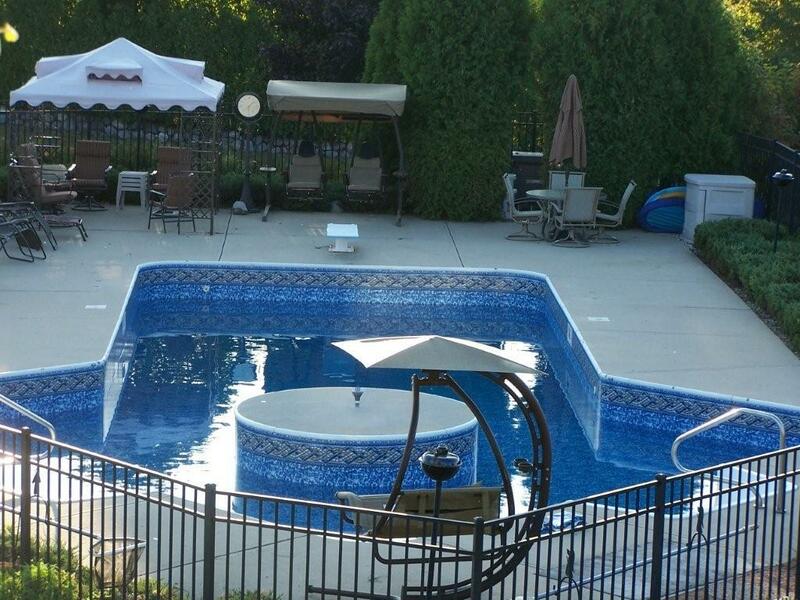 Cedarburg, WI - This rectangle inground swimming pool was past its useful life so we replaced it and added a light. 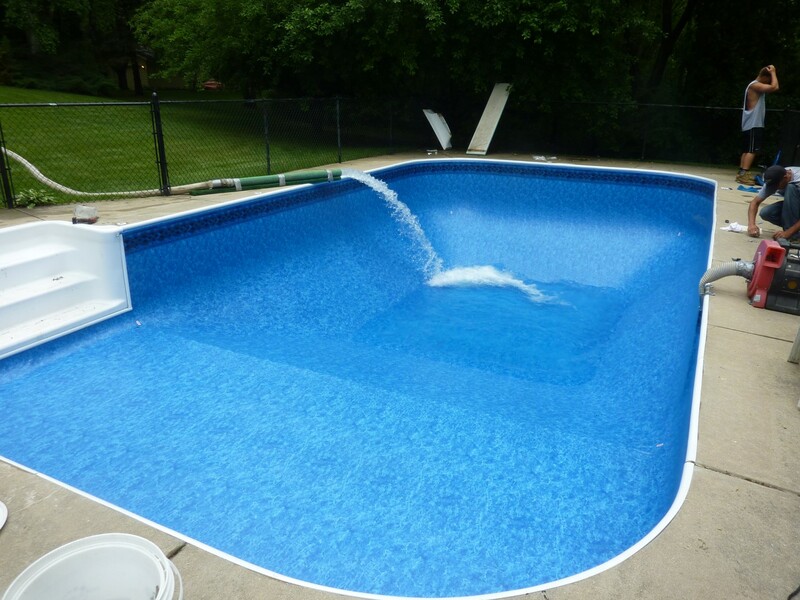 Muskego, WI - This rectangle inground pool needed to be updated plus the customer wanted new equipment and a safety cover.